We just finished our lesson that included asking for permission sentences such as "May I take a picture? ", "May I watch TV?" etc. I thought a fun way to wrap up the lesson and do a bit of writing would be by use of comics. 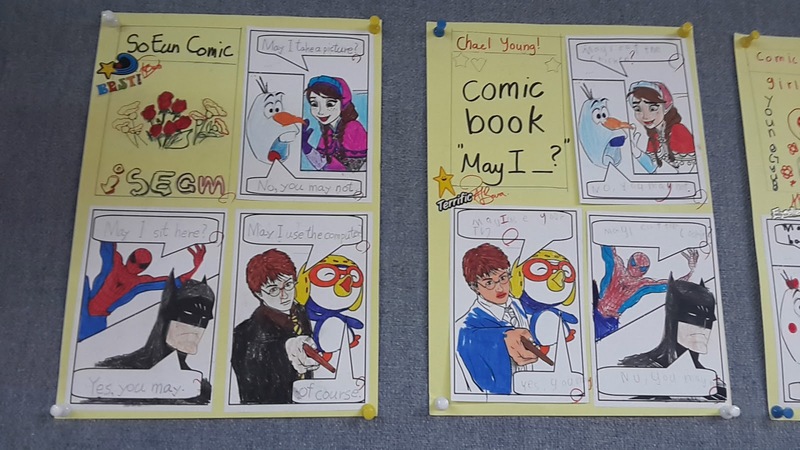 I've used comic writing activities before and frequently use my trusty template that includes Batman, Pororo, Harry Potter and Spiderman. I made the template in Microsoft word, it's very easy to make. Instead of boring white paper, I actually cut the panels out and asked the students to choose which ones they wanted and then we stuck them onto yellow paper. Lesson 'Whose boat is this?' 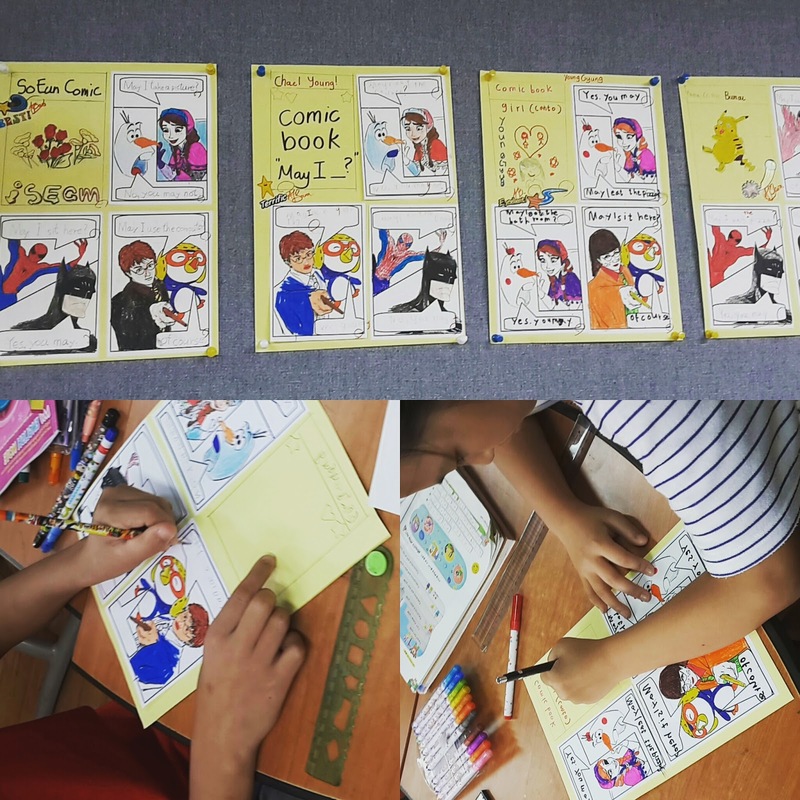 comics and speaking game. 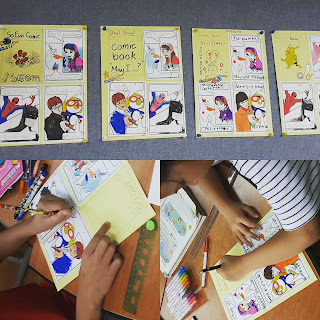 Fact Comic books for learning comparatives "I'm faster than you." 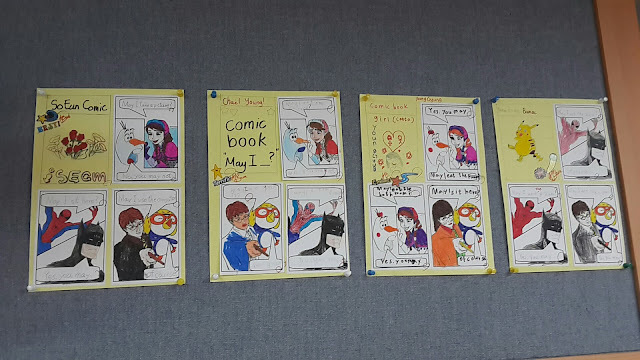 So, here are some of the comics my students made. 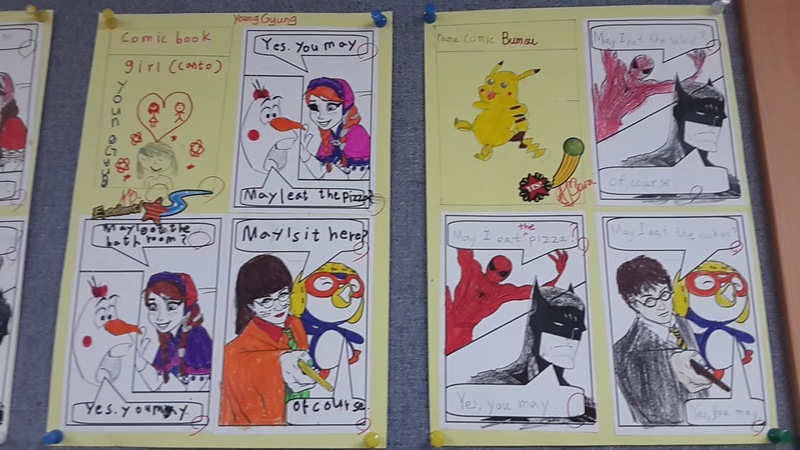 I told them they could use the sentences from the textbook and also, they had to design a title page. I'm very happy with their work! How do you download the comics template? Yes, where is the link for the download?